I liked this book a little more than Whisper, the sequel, because Whisper was a ghost story and I am, in fact, a scaredy-cat. This book was also an ARC, courtesy of NetGalley. Blakely Henry is a country girl. 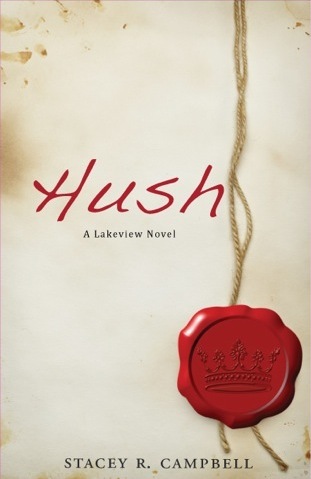 She attends Lakeview school and when she finds British student, Max, staring at her, she doesn’t know why. Max Ryder has come all of this way for a history assignment. Max had stumbled upon something big a while ago and he has flown halfway around the world to confirm it. Blakely is a princess. Well, a princess until her eighteenth birthday, and then she’ll be the queen of a small, off-the-grid country. Blakely is adopted but she has long stopped trying to find her birth parents. When other people from Blakely’s country find out that she is alive, they are astounded. People set out to kill her so that they can claim the throne. Max finds out about this, but by that time, he and Blakely have fallen in love and he wants to protect her from what she doesn’t know. Will Blakely die? Or will this story have a happy ending?